Whether you are searching for family history, determining the history behind your heritage home or are just curious about Ottawa’s past, this is your guide to accessing and researching at the archives. Our passionate staff will help you succeed with your research goals. Begin your researching journey with the City of Ottawa Archives today! You’ve come to the right place. Over 20 km of records are held in our climate controlled vault, including additional records stored at our Rideau Branch and Gloucester Branch, and off-site storage locations. Here you draw upon an overwhelming array of resources – from 2.5 million photographs, 1,500 documentary art pieces, 1,200 maps, plans and architectural drawings, and over a 100 linear feet of artifacts. How is the collection organized? The Archives identifies, acquires, organizes, preserves and describes Ottawa civic government records (corporate) as well as private sector records (community) of individuals, community groups, and businesses within the City of Ottawa. 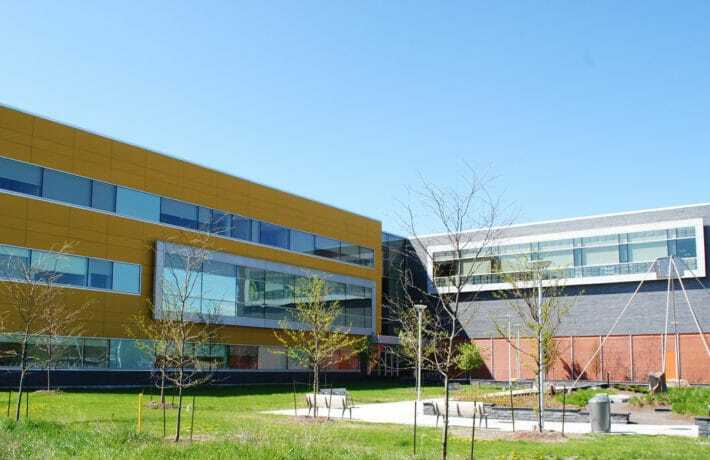 Corporate records encompass records of the new City of Ottawa, as well as the 12 former municipalities, the Ottawa Public Library, Police Services and OC Transpo. Some of the holdings include: original by-laws, original minutes of Council and Committees of Council, assessment rolls, historical maps, historical photographs of major civic events, historical plans of major structures, and more. Community records enhance our understanding of the history and evolution of Ottawa. Some examples from more than 350 collections include the Billings, Lett and Ogilvy family papers and records from the United Church of Canada and Royal Ottawa Sanitarium (now Royal Ottawa Hospital). 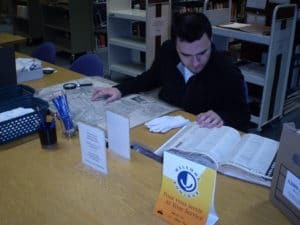 The community records holdings include textual and electronic records, rare books, historical publications, maps, plans, microfilms, films, photographs, postcards, documentary art, and corporate memorabilia. Our helpful staff can search the Archives’ databases for you for specific keywords and subjects related to your topic. If you wish to browse for a particular fonds or collection by hand, there are also six Finding Aid binders available to researchers in the Reference Room. Retrieval of records are completed by staff, and can be done within the hour from the climate controlled vault on-site, or may take 2-3 business days if the information you request is off-site. Plan your time accordingly. A very limited number of our archival holdings are presently described in ARCHEION (Ontario’s Archival Information Network). Ask the Archivist or Reference assistant about the current policies on Permission To Use (for publications), Copyright Permission and Reproduction Fees. The Reference Room Library holds a wealth of information and can be accessed immediately upon your arrival at the Archives. This extensive, non-circulating collection is right at your fingertips. It includes: a variety of published and unpublished items relating to the history of Ottawa and its inhabitants, and books, reports, maps, publications and newsletters of projects and programs of the City of Ottawa and its former municipalities.Our staff can conduct searches on your behalf with our on-site database. It can be searched by title, subject, and date. Or simply browse the collection at your leisure. Unfortunately this can’t be searched from home. 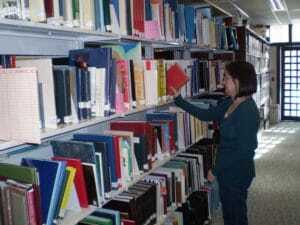 The Library is organized into two sections: ALB (Archives Library Books) and ALP (Archives Library Pamphlets). You can browse through a variety of topics: genealogy of Ottawa, urban development, sports, churches, arts, hospitals, industry, associations, transportation, communications, villages, towns and cities and guidebooks.Consult the reference room assistant for photocopying rules and costs.Held within the Library are the City Directories, Council Minutes and Bylaws, microfilmed newspapers, index to the photograph collection, as well as the Archives’ partner’s libraries. Click to view their databases and library catalogues that are available at the Archives. Council Minutes and Bylaws of all municipalities are available. They are useful for city employees examining previous municipal issues, or residents who are curious about their neighbourhood’s origins. Council proceedings provide a rich resource on the history of Ottawa. They are available in hard copy; select years are searchable on the archives’ database. Microfilm allows archives to keep many years worth of newspaper and printed material on their shelves. The Archives holds several special photograph collections, including the Newton Collection, the Alex Onoszko collection (aerial photography), the Ottawa Suburban Roads Commission photographs, and photo negatives from the Ottawa Journal. Combined, these collections contain close to 2.5 million photographs. The photograph collection can be browsed in the index trays in the reference library by subject, or searched on the archives’ database on-site. You can also browse the Finding Aid binders. General categories include: Parliament buildings, streets, houses, churches, schools, hospitals, businesses, merchants, hotels, aerials, bridges, rivers, sports, ceremonies, events, disasters, military, lumbering, transportation and portraits.